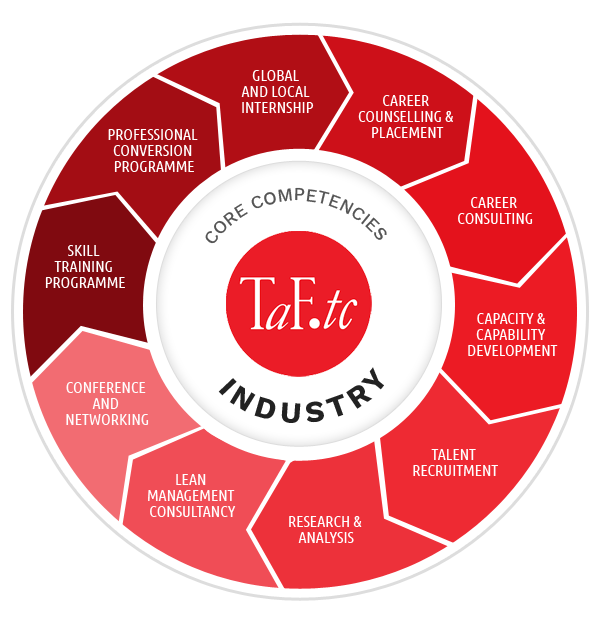 TaF.tc is committed to delivering unique and professional training programmes, as well as providing a networking platform for students, professionals and the industry itself. We offer unique and highly efficient industry-based training programmes that provide the most relevant skills, knowledge and attitude to compete in the global textile and fashion industry. Eligible participants enjoy SSG funding, internship opportunities, training allowances and industry visits. Our courses are based on industry practices and not just theory. That’s because we only recruit professional industry practitioners and experts – all of whom are passionate about sharing their expertise with the next generation through consulting, mentoring and training. An impressive global and local network of partnerships in the fashion and textile industry enables us to open doors to exciting careers. It also ensures that TaF.tc is continuously up-to-date with the latest developments in the global fashion world. See our full list of partners.